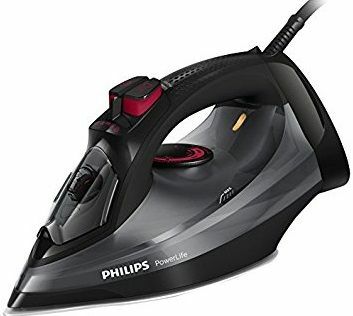 PHILIPS GC2998/86 PowerLife Steam Iron in Black. For great results day after day, you want an iron that never lets you down. With its anti-scratch SteamGlide soleplate, consistent high steam output and intgrated calc-clean, this high-quality iron gives you performance that lasts.